San Diego Police are trying to determine if the shooting was a hate crime. 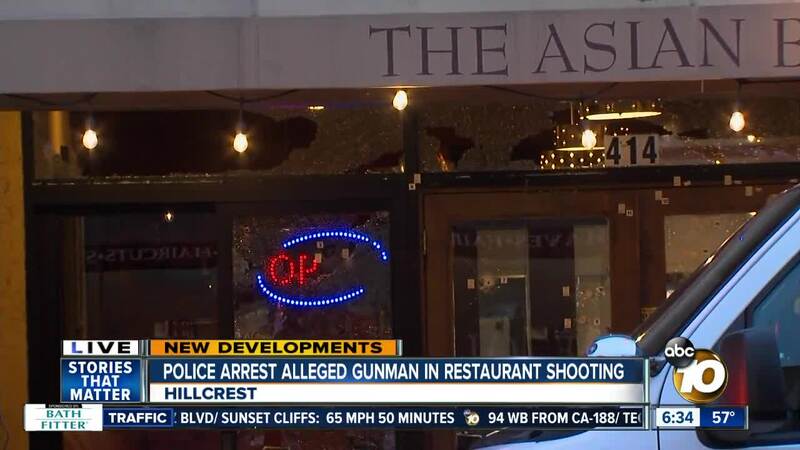 SAN DIEGO (KGTV) - San Diego police said 29-year-old Stefano Markell Parker faces several felony charges, including nine attempted murder charges, after he allegedly fired multiple shots into a Hillcrest restaurant. At around 7:40 p.m. Tuesday, San Diego police responded to reports of gunfire in the 400 block of University Avenue. Witnesses reported seeing a six-foot, 250-pound man wearing a trench coat and armed with a rifle approach the Asian Bistro restaurant and open fire. As the gunman fired, several customers and workers inside ran for cover, but police said gunfire shattered glass at the front of the eatery and did not strike anyone inside. 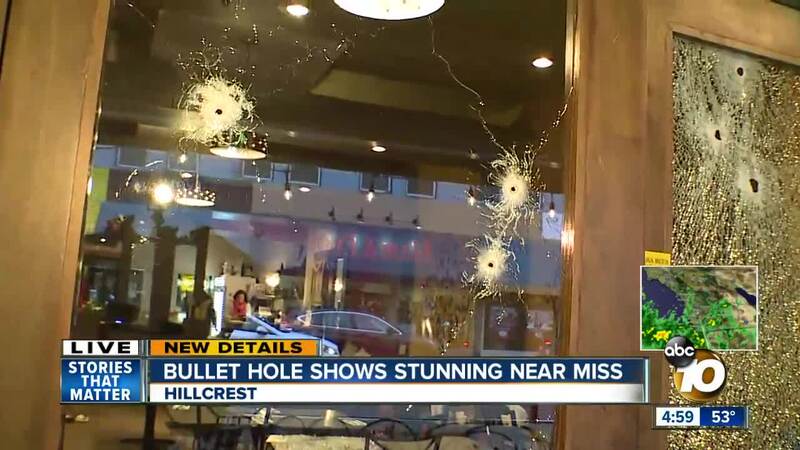 Several bullets above a booth in the back are located where a customer was sitting. He decided to go to the bathroom moments before the shooting. After the shooting, the man lowered his rifle and walked away from the scene, according to police. As officers searched the area for the gunman, a witness told police they saw the shooter change clothes and provided a description of the outfit. Police spotted the man in an alley in the 3500 block of Fourth Avenue and detained him for questioning. In a dumpster near where the shooting took place, officers found a duffel bag containing the weapon believed to have been used in the incident. Officers also found the discarded clothing that matched the clothing the suspect was wearing. Investigators also recovered at least 19 shell casings at the shooting scene. William Curtis, co-owner of Cascade Day Spa, was painting a mural outside their new location around 3 p.m. and saw a black man with a long black coat sitting down in a gravel in the alley. "He was sitting down, staring down the alley toward the restaurant for hours," said Curtis. After the gunfire, Curtis says he saw the same man running down the alley. "He was running, hunched forward holding something. He said something like, 'It's coming from that way,'" said Curtis. Soon after, police arrested Parker a few blocks away. It was Curtis who showed police where the man was sitting. "So we walked there, and his clothes were there. He had ditched them," said Curtis. SDPD officials said Parker faces nine counts of attempted murder, one count of using a firearm in any felony and felony possession of a firearm. Parker is being held at San Diego Central Jail without bail, according to jail records. A motive for the shooting remains under investigation, police said.